Nobody can anticipate the problems of his computer, like the forgotten Windows login password, the Windows boot up errors, the personnal data security, etc. The reasons can be various. What’s the most important, that’s how to solve the above problems and make the computer back to normal. 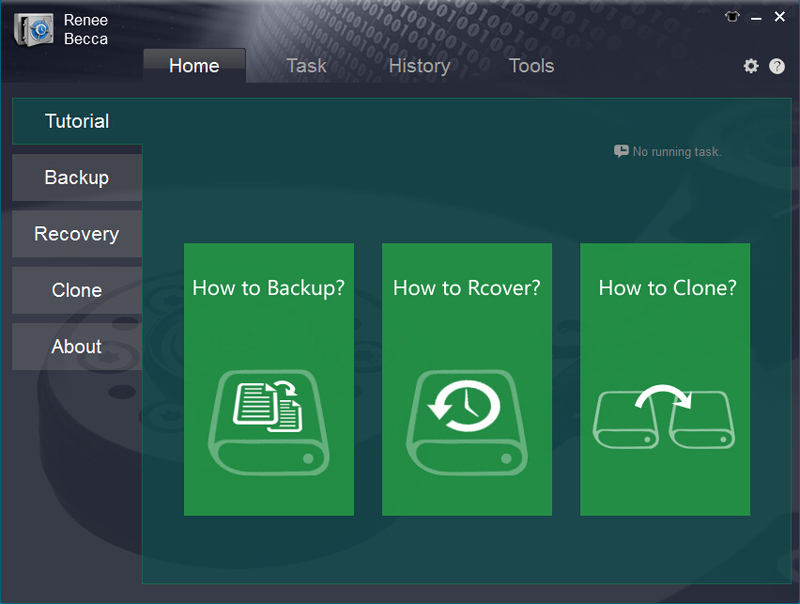 Renee PassNow is a wonderful Windows system rescue tool for the emergency PC repair and maintenance.It provides you 5 mains functions, such as “PassNow!”, “Data Backup”, “Drive Eraser”, “HDD Scan” and “Windows Recovery”. “PassNow!” – Reset any Windows administrator or user’s account passwords on Windows system. “Data Backup” – Back up your entire computer, of a computer’s entire software configuration by creating an image file. “Drive Eraser” – Erase all data on hard and USB drives completely, excluding any possibility of future recovery of deleted files. “HDD Scan” – Scan the whole disk and find out the problems of your computer and the Windows system. “Windows Recovery” – Fix MBR boot Records, DBR error parameters, black & blank screen, and 0xc00000e winload error. What’s more, all functions work under non-Windows environment and run independently because it is based on Linux & Windows PE system. 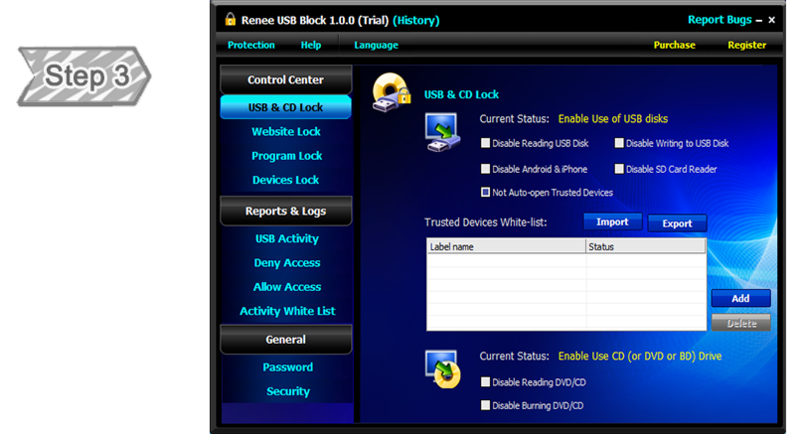 You can create a bootable CD/USB with Renee PassNow and boot up any crashed computer with the bootable CD/USB integrated the new USB boot technology which supports almost all the USB drives. It can fix Windows boot failure in 4 simple steps in 5 minutes. With the Basic version, you can reset Windows login password. Renee PassNow supports Windows 8/7/Vista/XP/2000. Nobody can anticipate the problems of his computer, like the forgotten Windows login password, the Windows boot up errors, the personnal data security, etc. The reasons can be various. What’s the most important, that’s how to solve the above problems and make the computer back to normal. 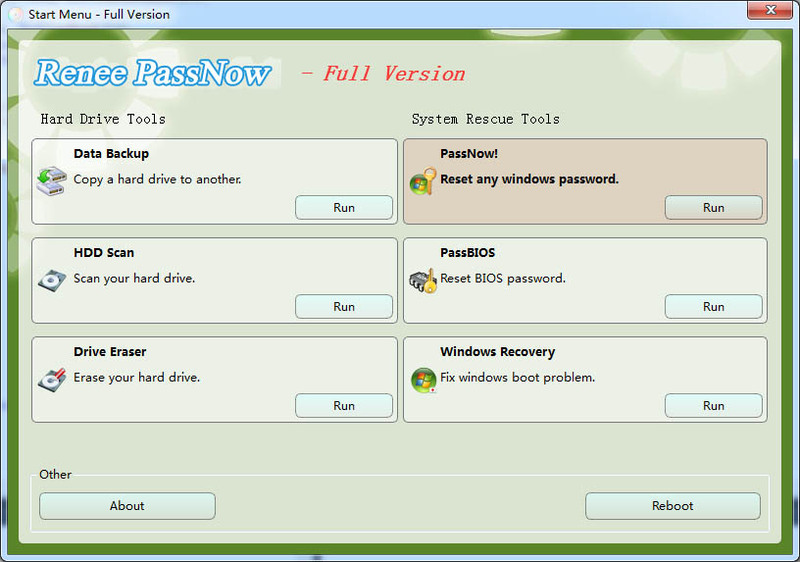 Renee PassNow is a wonderful Windows system rescue tool for the emergency PC repair and maintenance.It provides you 5 mains functions, such as “PassNow!”, “Data Backup”, “Drive Eraser”, “HDD Scan” and “Windows Recovery”. “PassNow!” – Reset any Windows administrator or user’s account passwords on Windows system. “Data Backup” – Back up your entire computer, of a computer’s entire software configuration by creating an image file. “Drive Eraser” – Erase all data on hard and USB drives completely, excluding any possibility of future recovery of deleted files. “HDD Scan” – Scan the whole disk and find out the problems of your computer and the Windows system. “Windows Recovery” – Fix MBR boot Records, DBR error parameters, black & blank screen, and 0xc00000e winload error. What’s more, all functions work under non-Windows environment and run independently because it is based on Linux & Windows PE system. You can create a bootable CD/USB with Renee PassNow and boot up any crashed computer with the bootable CD/USB integrated the new USB boot technology which supports almost all the USB drives. It can fix Windows boot failure in 4 simple steps in 5 minutes. With the Pro version, you will have all 5 magic fonctions of Renee Passnow. Renee PassNow supports Windows 8/7/Vista/XP/2000. It’s usually happened to the most of us: the important files can be deleted and presumed lost forever. Whether the result of a computer virus, a software error, or user error, this can be terrible. Important business data and documents, as well as the digital image of captured moment in the age, the loss cannot be replaced. When such a disaster strikes, what can be done? Renee Undeleter will help you to recover your important files immediately! It provides 3 main functions, like “Fast Partition Scan”, “Whole Partition Scan” and “Whole Disk Scan”. “Fast Partition Scan” – Recover those files that are accidentally deleted in normal file system. “Whole Partition Scan” – Recover data from formatted partitions or corrupted drives. “Whole Disk Scan” – Scan the entire disk to find out all partitions? information and to simulate the partition table. Besides the main functions, Renee Undeleter has lots of standout features that help you recover the lost files easily and safely. For example, file preview. Most of the file types can be previewed to estimate the possibility to recover. If you have a damaged drive, you can create a sector-to-sector-copy image file for an entire partition. Such image files can be loaded simply and processed like regular partition. Images are very useful if there is a risk of total data loss due to hardware malfunction. If bad blocks are constantly appearing on a hard drive, the only way to save the data is to immediately create an image of that drive. All data search, scan and recovery can be done from this image. Renee Undeleter supports Windows 8/7/Vista/XP/2000. When we lost files, file recovery software should be the final method to save it. Good fortune does not always wait for us. What?s more, Windows sometimes would be unstable. Which is the best method to recover PC system, files or folders we need quickly and easily? What should be done if we are required to reinstall Windows when restoring applications, setups, preferences, bookmarks, etc.? A full computer image backup is the only way to protect our entire system and operational immediately. Renee Becca offers you differents options to backup your importants files et manager your computer. – The “Backup” function allows you to back up the Windows system, the hard disk or partition and some files by creating an image. It is also possible to set the backup mode, such as incremental mode, differential mode, full mode, version chain mode and single version mode. You can also turn on automatic backup and set the time. You can start the Windows system after recovery system image you saved. Nothing is altered or changed. All programs installed in the Windows system are available as before. It is not necessary to reinstall the programs. – The “Clone” function gives you the opportunity to make a twin hard drive or partition without need to create an image. After cloning, you can directly use the hard disk or partition. With the “System Redeployment” function, you can transfer the Windows system to a high-capacity hard disk or a small capacity SSD. – Three more tools are also available. The “Disk Manager” helps you to perform disk-related operations. The “Disk / Partition Eraser” can permanently destroy all data partitions or the entire hard drive. The “Data Recovery Software” can recover deleted or lost files in five minutes. It’s usually happened to the most of us: the important files can be deleted and presumed lost forever. Whether the result of a computer virus, a software error, or user error, this can be terrible. Important business data and documents, as well as the digital image of captured moment in the age, the loss cannot be replaced. When such a disaster strikes, what can be done? Renee Undeleter will help you to recover your important files immediately! It provides 3 main functions, like “Fast Partition Scan”, “Whole Partition Scan” and “Whole Disk Scan”. “Fast Partition Scan” – Recover those files that are accidentally deleted in normal file system. 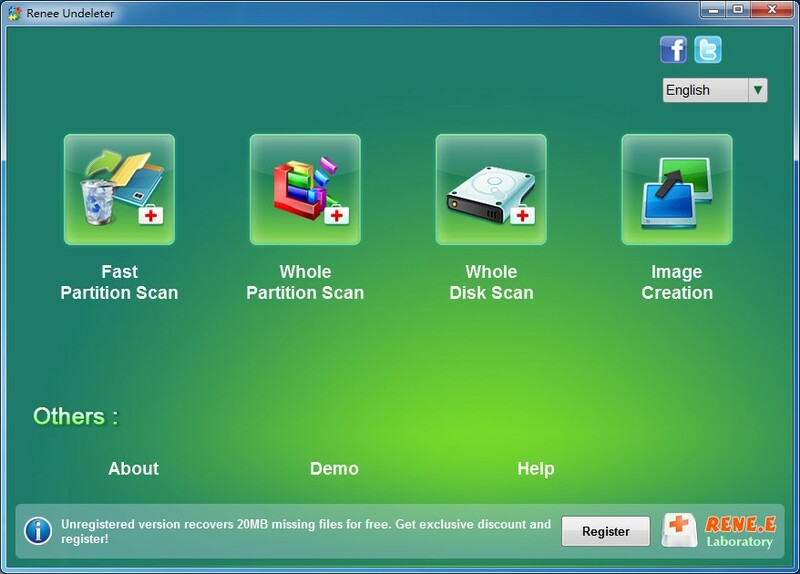 “Whole Partition Scan” – Recover data from formatted partitions or corrupted drives. “Whole Disk Scan” – Scan the entire disk to find out all partitions? information and to simulate the partition table. Besides the main functions, Renee Undeleter has lots of standout features that help you recover the lost files easily and safely. For example, file preview. Most of the file types can be previewed to estimate the possibility to recover. If you have a damaged drive, you can create a sector-to-sector-copy image file for an entire partition. Such image files can be loaded simply and processed like regular partition. Images are very useful if there is a risk of total data loss due to hardware malfunction. If bad blocks are constantly appearing on a hard drive, the only way to save the data is to immediately create an image of that drive. All data search, scan and recovery can be done from this image. Renee Undeleter supports MAC OS X 10.6 and above. With the popularity of social media, lots of funny video clips which are transferred into GIF animation have been wide spread. Photoshop used to be the only choice when editing GIF file. It is known that Photoshop is hard for non-professionals to use. As a result, people can just choose existing GIF to express specific thoughts. Now, with Renee Gifer which is easy to use, everyone can capture any video easily and make Hollywood-level animated picture. Come and let GIF say whatever you want now! 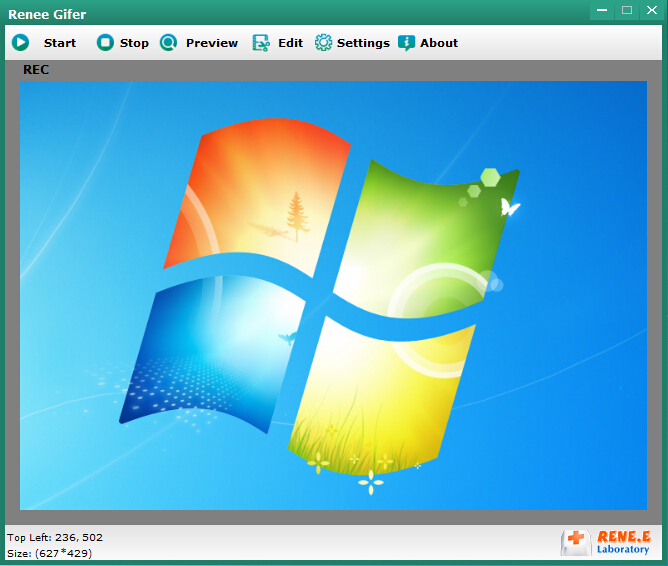 You can create an animated GIF by yourself through capturing the video from the video webpage or your computer. You are absolutely able to create such a GIF file because Renee Gifer allows you to resize the area of the captured video at will, control video capture time easily, modify any frame of GIF, speed/slow even backward animation and add the text, images or watermark. The meaning of Renee Gifer is to bring more enjoyment. Smaller size but easy to use. Create your first GIF animation in a few minutes by following the guidance. Struggle to minimize the file size of the high-quality GIF by using the most advanced compress technology and specified optimization. You can decide the speed of GIF animation to see each detail or funny/crazy fast-forward animation. It’s usually happened to the most of us: the important files can be deleted and presumed lost forever. Whether the result of a computer virus, a software error, or user error, this can be terrible. Important business data and documents, as well as the digital image of captured moment in the age, the loss can not be replaced. When such a disaster strikes, what can be done? MagicCute Data Recovery will help you to recover your important files immediately! It provides “Files recovery”, “Formatted recovery” and “Photo recovery” 3 main functions. “Files recovery” – Recover those files that are accidentally deleted in normal file system. “Formatted recovery” – Recover data from formatted partitions or corrupted drives. “Photo recovery” – Recover your photo(image files) as many as possible. Besides the main functions, MagicCute Data Recovery has lots of standout features that help you recover the lost files easily and safely. For example, file preview. Most of the file types can be previewed to estimate the possibility to recover. If you have a damaged drive, you can create a sector-to-sector-copy image file for an entire partition. Such image files can be loaded simply and processed like regular partition. Images are very useful if there is a risk of total data loss due to hardware malfunction. If bad blocks are constantly appearing on a hard drive, the only way to save the data is to immediately create an image of that drive. All data search, scan and recovery can be done from this image.